A collective of fun, fresh thinking designers, marketers & creatives from around the globe. WE BRING BRAND IDENTITY TO LIFE. Identity was founded in 2009 with ambition. An ambition and recognition that we were in the driving seat to create greatness and entertain clients and consumers through effective design, marketing and advertising. We are here to create image and perception to help drive value. Without image there is no perception. Regardless of business size, we are able to produce cost effective, inspiring communications that work - not just visually, but strategically. With over 80 years of combined experience, we are able to drive your project to deliver results. It doesn't take an army to produce great work. Nick founded Identity in 2009 to harness his passion and excitement to think differently. The power of clever ideas, strategic branding and advertising is a game changer for any business. Nick has over 20 years of international experience in design and brand communications not limited to Aston Martin, Ford, Tourism WA, Corona, James Squire and various Government agencies. Nick works closely with the client on concept strategy through to implementation and delivery. Bel thrived in senior marketing roles both internationally and locally for Tourism Australia, Tourism Western Australia and as an advisor to Government Ministers. Bel offers our clients not only her infectious personality but extensive experience and networks in destination marketing, strategy, PR, media, events and stakeholder management. Her passion for hospitality and tourism runs deep in her DNA. Clare is a brand consultant providing strategic and creative solutions. She has worked with local, national and international brands in design and advertising agencies in London and Perth and crafts unique, standout communications. A complicated process shouldn’t get in the way of a good idea, and it shouldn’t take an army to produce great work. Perth born and bred, Larissa is a business-minded creative with an enduring passion for helping clients reach their next goal. After years of boutique agency experience, Larissa holds a wide range of skills and experience across multi-disciplinary mediums for both traditional and digital marketing. She favours a highly strategic, holistic approach to design and is passionate about exploring new ways to deliver better branding outcomes. 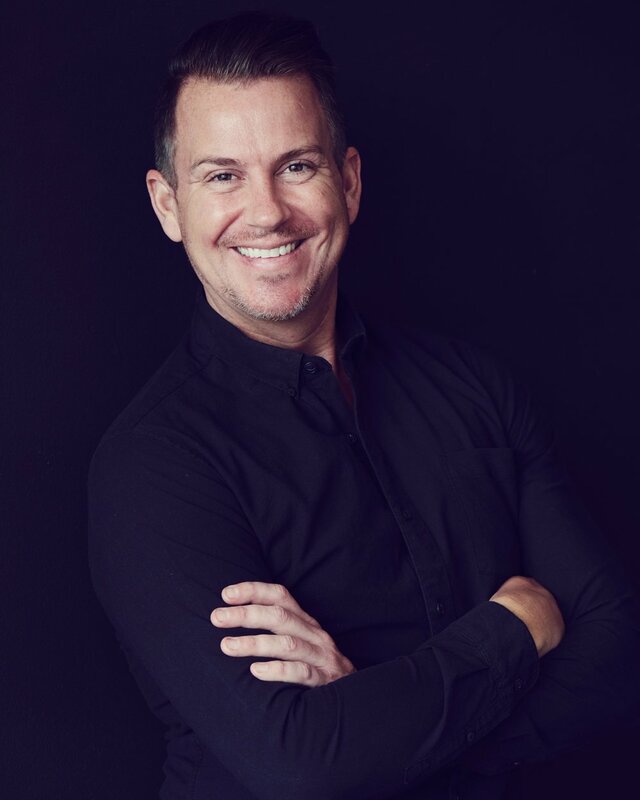 Michael has 18 years experience working as a graphic designer in Brand & Digital Agencies in both Perth and London working with brands Canon, Vodafone, Wesfarmers and Bunnings. He takes pride in producing crafted, considered design solutions, based on strong conceptual thinking and careful execution. A stickler for detail, Michael enjoys building long lasting and trusting relationships with clients and working closely with them to produce rewarding and successful business outcomes. Over the past 14 years, Kate has worked within marketing, media, PR and event activation and is highly regarded within the industry. Kate has managed and activated projects on a local, national and global scale with clients such as 20th Century FOX, City of Perth, City of Mandurah and City of Fremantle to name a few. Kate is known for thinking outside the box, her extremely strong relationships across the events and entertainment sector and working with clients to creatively and effectively deliver their marketing objectives. We believe in simple & effective. Every detail must be perfect.